Yachting Cup is a fantastic Spring event which draws a great fleet each year. The 2014 running goes down May 3-4, hosted by San Diego Yacht Club. J/World San Diego runs a three day racing clinic aboard our J/80s on the Wed-Fri prior to the event, then the teams compete in the regatta with a J World coach aboard. Want to sharpen your racing skills? Maybe chip off the winter rust and get ready for the upcoming season? Or just have a fun time in beautiful southern California? We have limited spaces for individuals remaining, and one boat available for charter to a qualified team. Visit here or contact us for more info. 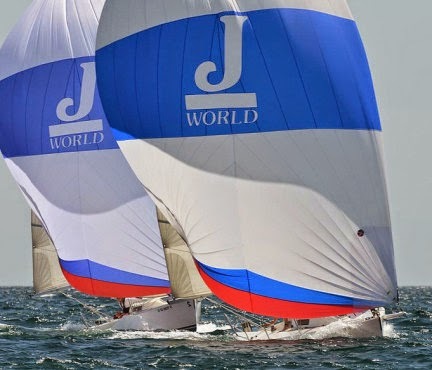 http://sailing-jworld.com/wp-content/uploads/2014/04/DSC_0049.jpg 681 1024 jworld http://sailing-jworld.com/jworldwp/wp-content/uploads/2015/01/Header-Logo.gif jworld2014-04-18 19:15:002015-01-05 19:19:46San Diego Yachting Cup!